A real-time transactional-analytical system needs to combine transactional and streaming data in a single high-performance database that can operate as fast as the inbound data streams in. It also needs to work with various analytics frameworks including machine learning and artificial intelligence. 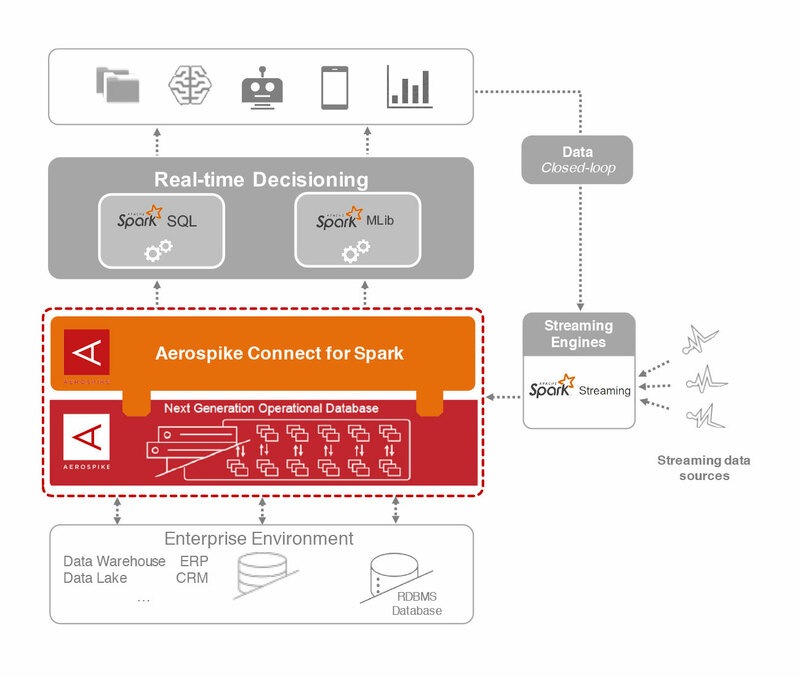 Aerospike Connect for Spark addresses these requirements by combining streaming data with historical data for enhanced real-time decisioning and insights.  Aerospike Connect for Spark (Figure 1.) 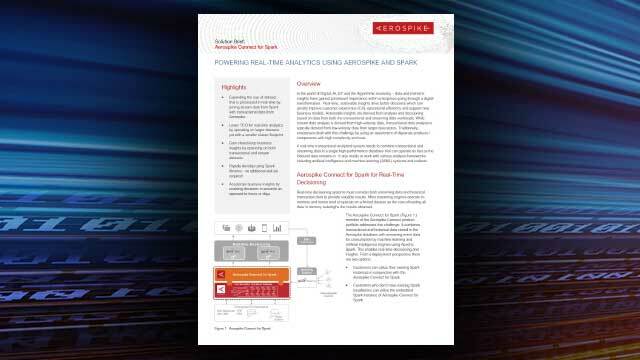 enables companies to directly integrate the Aerospike database with their existing Spark infrastructure. 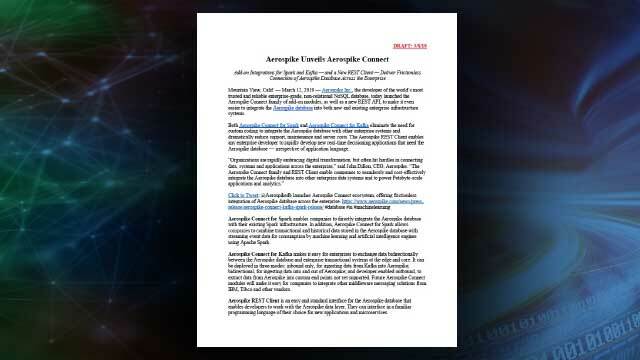 In addition, Aerospike Connect for Spark allows companies to combine transactional and historical data stored in the Aerospike database with streaming event data for consumption by machine learning and artificial intelligence engines using Apache Spark. 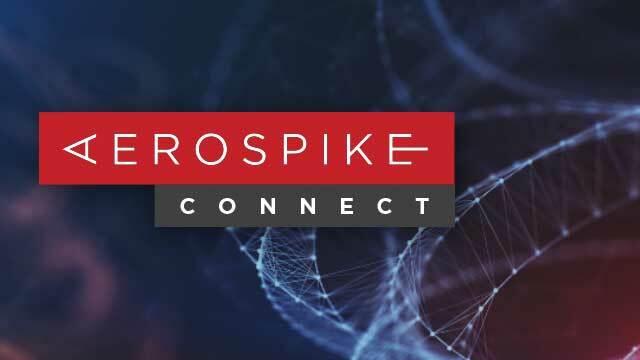 Aerospike Connect for Spark combines streaming data with a high-performance database to create a join with the transactional data. This enables better real-time decisioning and insights. Rapidly develop applications using Spark libraries – no additional skill set required.